Apex wheels are a doughnut tread wheel consisting of a high quality polyurethane wheel bonded directly onto an aluminium core. 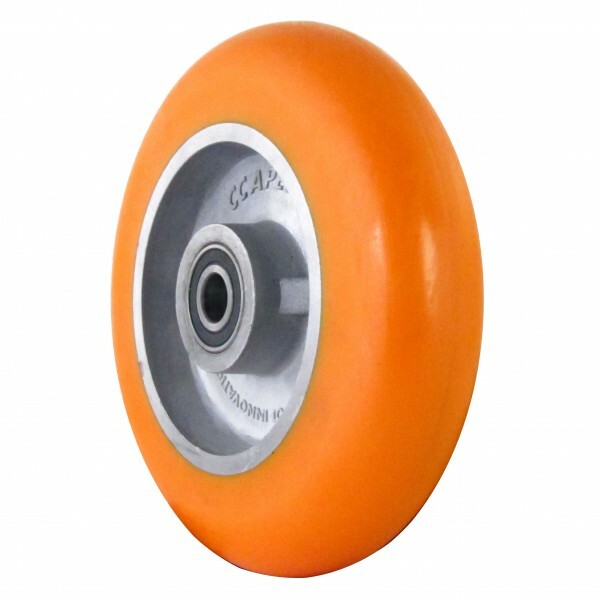 The orange doughnut wheel enables effortless roll ability for moving heavy loads with ease. Not only can this wheel move effortlessly but it is maintenance free with a sealed precision ball bearing. This strong and durable wheel is easy to move, maintenance free, dispels debris, and maintains grip and direction in towing. Probably the best wheel on the market!